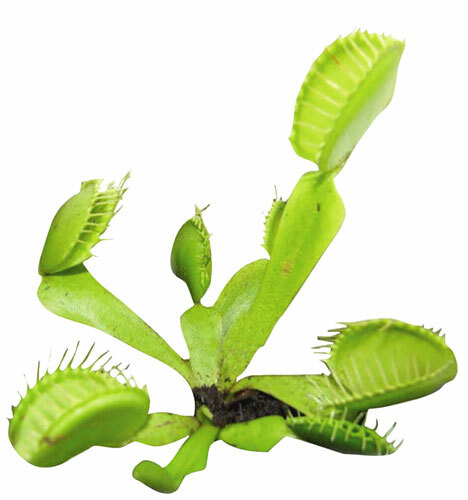 The entomologist’s friend. 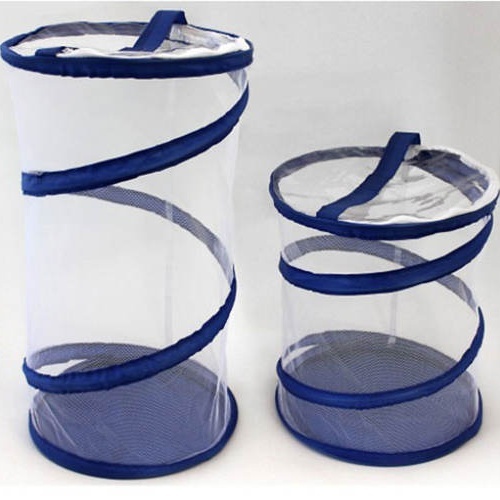 This folding insect cage, which is the same as our butterfly-net kit, is made of nylon-mesh, and measures 10” dia x 11” tall when popped open via the interior steel spring. A pair of hook-n-loop straps keeps it flat when not in use. Includes a basic teachers’ guide. 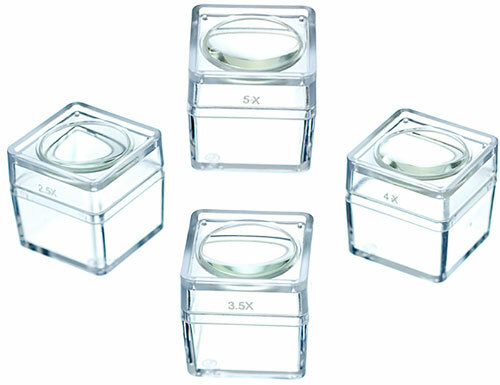 And keep an eye on them with these acrylic cubes. 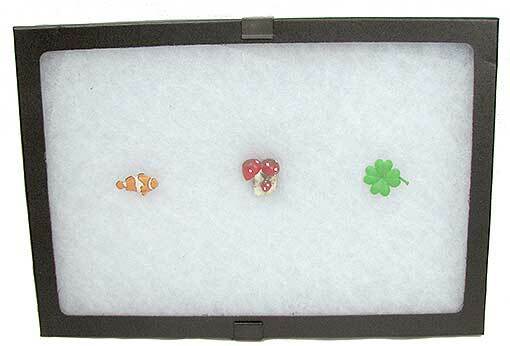 Or keep an eye on your stamps, coins, toenails or whatever you’re into. 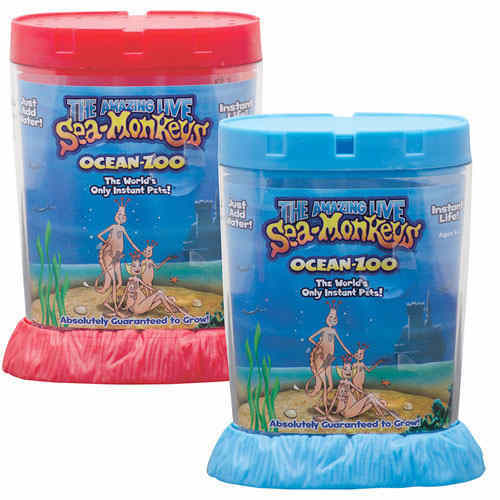 Measures 1-1/2” with a 1-1/8” dia magnifier lens in the lid. 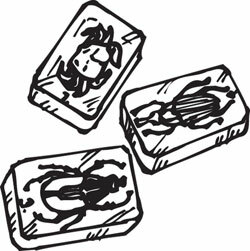 Our each is a set of (4) cubes, (1) each at 2.5X, 3.5X, 4X and 5X, because different bugs and stuff call for different magnification levels. 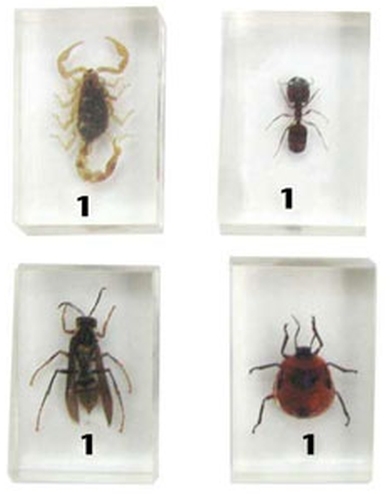 Ask any entomologist, or collector of...well, whatever they’re into. 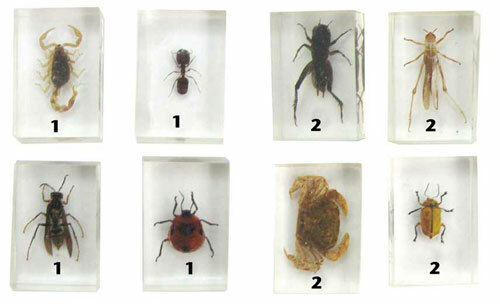 Bug collecting 101 for the budding entomologist. 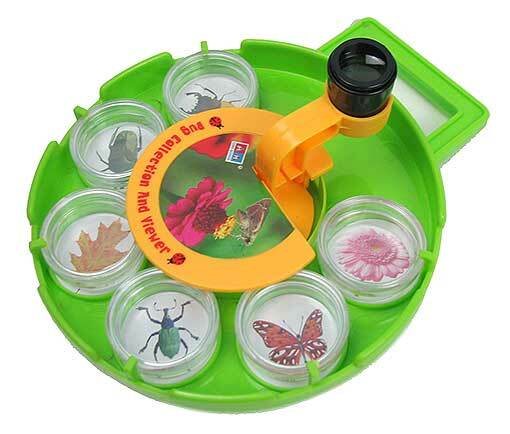 This bug-viewing kit has a 6-1/4” dia base with a 1.5X acrylic loupe on a swiveling arm that rotates over (6) clear plastic 1-1/4” dia canisters with snap-off lids. 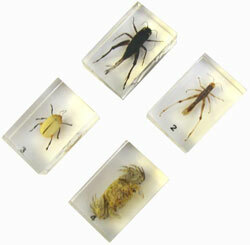 Catch critters, put them in the canisters and study them via the lens. Focal length can be adjusted, and the arm folds down to hold the canisters in place for travel.